Lush Fab Glam Inspired Lifestyle For The Modern Woman: Mary Kate & Ashley Olsen's 'The Row' Resort 2012 Collection! Mary Kate & Ashley Olsen's 'The Row' Resort 2012 Collection! ﻿Mary Kate & Ashley Olsen's 'The Row' Resort 2012 Collection! Twins Mary Kate and Ashley Olsen celebrated their 25th birthday yesterday and marked the event with the launch of their design brand 'The Row' Resort 2012 Collection. The twins have certainly come a long way from their time as childhood actresses on the family show 'Full House' to creating a fashion mega empire. 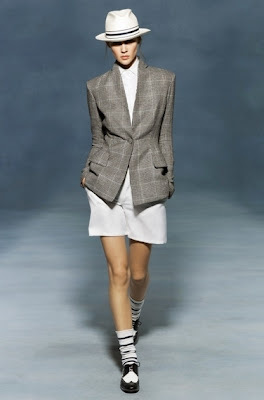 Take a look at 'The Row's' menswear inspired and minimalist Resort 2012 Collection below. Sisters Mary Kate & Ashley Olsen. 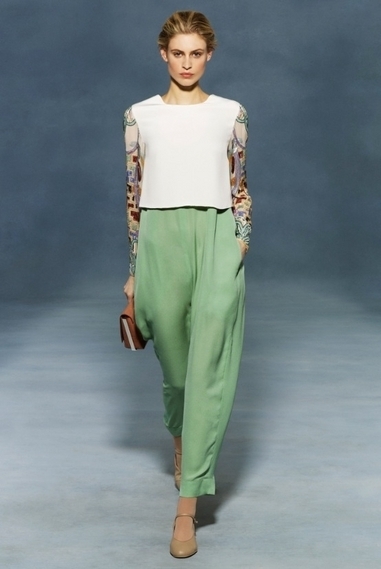 What do you think of The Row's Resort 2012 collection, is it fab or flub? Leave a comment below.